Are you snowed in like me? Tired of watching all of these damn snowflakes fall sideways onto the ground? 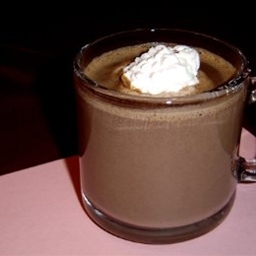 Crying of boredom into your steaming mug of hot cocoa (with tiny marshmallows, of course)? Why don’t you catch up on The Watchmage of Old New York, my fantastic serial from Jukepopserials.com. Watchmage… is currently an Editor’s Pick, so you know that it’s much, much better than most online drivel. Of course, if you’ve been reading this blog, you know that I’m a damn good writer, and should not be surprised. Registration is required for more than the first “chapter.” Lucklily, I jammed two chapter’s worth into the first one, so you can read a good 4000 words before having to register, not that it’s hard. That’s like Two Chapters for the Work of One!! But the best thing that you can do is to VOTE for Watchmage at the bottom of the page. VOTING not only lets the editors know that people like my work (helping me to sell work in the future) but it entitles me to earn cash bonuses if i pass certain milestones. It’s also a very good story, a Cross-Genre Fantasy that mixes historical, magical, noir, and mystery elements into one great big pile of Awesomeness. Think Buffy meets The Dresden Files meets Ugly Americans meets American Gods meets Gangs of New York. Where else will you find a Fire Elemental on one page, and a Lower East Side rabbi that quotes Emerson on another? And I haven’t even mentioned the faerie mafia…yet. This entry was posted in Uncategorized and tagged books, entertainment, watchmage, writing by C. A. Sanders. Bookmark the permalink.